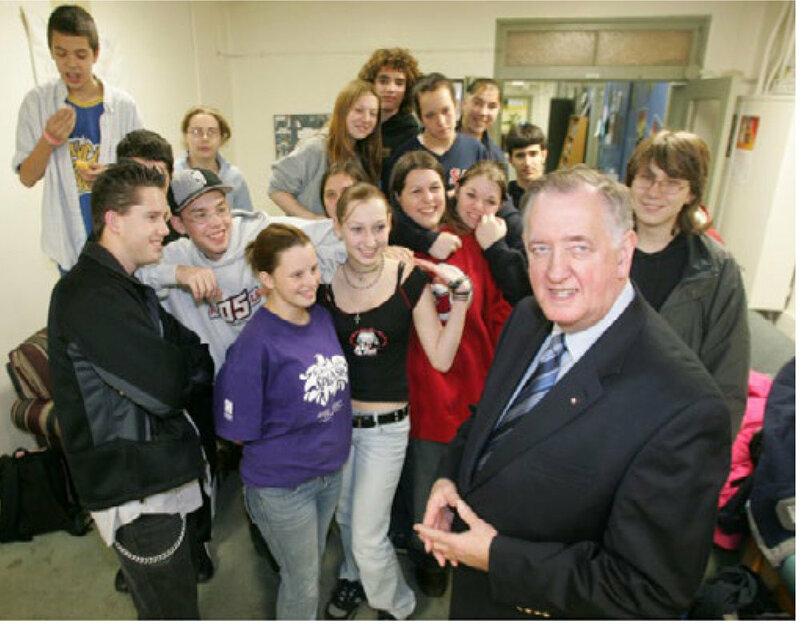 Bill was born in Placentia, Newfoundland, and graduated from St. Edward’s High School in 1954 with a business diploma. He entered the banking industry as a junior clerk with the Royal Bank, eventually becoming Vice President of Operations for New Brunswick, a role in which he was responsible for 30 branches and over 600 staff. After 39 years of service, Bill retired from the Royal Bank in 1990. However his retirement did not end his working career. He formed his own consulting firm, Gale Group Inc. to help businesses access financial assistance and, in addition, became a real estate consultant with Prudential Summit Real Estate Inc. In 1997, Bill was highly moved by the story of a person living in poverty. He rallied local business leaders to address the issue of poverty and established the Business Community Anti-Poverty Initiative (BCAPI). BCAPI involves 100 business leaders and professionals dedicated to working with people living in poverty and reducing poverty in Saint John by tackling its root causes. Through Bill’s leadership and continuing interest, BCAPI addresses poverty as a process of community capacity building rather than a “project”. There is no finish line for this work. The goal is to address the barriers and issues that fundamentally contribute to the existence of poverty in Saint John, using community leadership and learning as a mechanism for change. Bill demonstrates that social improvements in our community can be accelerated with the involvement of an informed and organized business sector. His call on Saint John business leaders to reach for a higher social and moral code has inspired not only the business community, but the community as a whole to do more than alleviate the pain of poverty, but to help eradicate it. 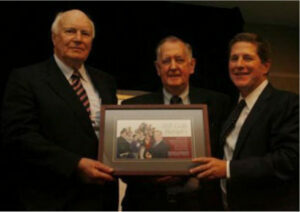 In the spring of 2012 The Community Foundation was entrusted with The Bill Gale Bursary. The proceeds from the fund will provide financial assistance to Saint John students who have completed high school, are in serious pursuit of post-secondary education, but are unable to access sufficient funding to begin, continue or complete their studies. The applicant must be recommended by a spokesperson from a local school, community organization or neighbourhood group who knows the applicant well and can confirm the student’s potential to complete their chosen post-secondary program, the financial need of the student, and that the student has the support they require (from family, community and/or educational institution) to succeed.